Can facial flushing be caused by taking Vitamin D? 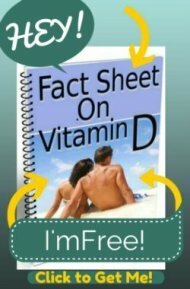 I was diagnosed with Vitamin D deficiency based on lab work and was taking a liquid Vitamin D to increase it. After 8-10 days my face began flushing severely and I had joint pain. I quit taking the liquid form and prayed for sun! I recently had more blood work done and I still do not have enough Vitamin D and our weather is not being cooperative so my doctor suggested Cod Liver Oil. I have been taking this now for about 8 days and the flushing has comeback. Do you think this is an allergic reaction? I live in the Pacific Northwest and sun is not a daily occurrence. I'm very frustrated and can't stand the itching/flushing on my face. Do you know of any other way to get Vitamin D benefits? Comments for Can facial flushing be caused by taking Vitamin D? That's a very strange reaction to Vitamin D, first because of the reaction itself and second because of the long delay from when you first take it to having that reaction. My first thought is that the reaction that you are having is EXTREMELY typical to niacin and called 'Niacin Flush'. Are you 100% sure that you are not getting niacin in something- another supplement, a sports drink, a medication that you are taking? Check EVERYTHING that you are taking to see if there is niacin in it. If you find niacin in something then cut that out because that is the guaranteed culprit and not the vitamin D.
But assuming that you aren't taking anything with niacin in it and that it really is the vitamin d, then there are a couple of options. First, I would recommend that you don't take the cod liver oil regardless of your reaction to it. Please read my page on Cod Liver Oil Information to see why it's simply not a recommended source of vitamin d.
Since you only get a reaction after taking it for a week, try taking one big dose every week- or even every month. Vitamin D is 'time released' and fat soluble, so one big dose even just 4 times per year has been shown to be safe and effective. Could you have a reaction to the large dose too? There's no way of knowing. Since you live in the Northwest, there are just simply not a lot of other options for you besides a trip to Hawaii every 3 months! In which case the tanning bed, while not as fun, would pay for itself quickly as a better option. I too began to get face flushing and heart palpatations while taking Vitamin D3 supplements. It takes about 3 or 4 days of taking the supplement daily before the reactions started then another 2 or 3 days after stopping the supplement when the reactions subside. Start up the supplements again after 2 weeks and the reactions start all over again. I think there's more to this than the vitamin supplement companies want to admit. Tried both forms of Vitamin D3, oil capsule and dry tablet...have same reactions to both. While I don't know why you are flushing (although I still suspect it's some extraneous ingredient in the vitamin d- possibly in the capsules so you might want to try liquid), the heart palpitations are an easy fix and NOT due to the ingredients in the vitamin d, but due to YOU. Please read my page on Magnesium and Vitamin D to see why you are almost CERTAINLY extremely magnesium deficient and why I NEVER recommend people take vitamin d without magnesium. If the heart palpitations go away with the magnesium, but the flushing remains, it is NOT dangerous as long as it is temporary and you are not getting hives, shortness of breath or other symptoms of an allergic reaction. I am also experiencing the facial flush with 50,000 units of Vitamin D. Was doing an internet search to see if there was anyone else and sure enough. I can live with it though, it is not life threatening and I feel so much better since starting therapy! I can relate... I have hashimotos and take thyroid hormone daily. My Dr. suggested a vitamin D test and it came back that I was deficient. So I began taking 1000IU of vitamin D3 daily. 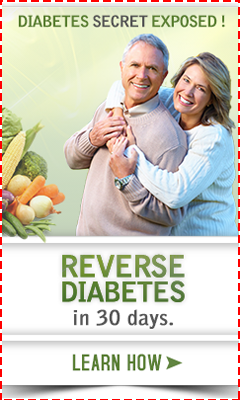 I felt great for the first week or two and then began to experience terrible facial flushing and heart palpations. I had to discontinue the use of the vitamin. I now just try to get as much natural sun as I can. Seems there is something to this phenomenon.. I wonder what it is.. Taking 50,000 IUs once weekly and face gets so flushed looks like severe sunburn. Feels very hot too. Pharmacist not helpful...just said discuss with doctor. I'm absolutely not taking anything with niacin. I've tried tablets, capsules, and a once a week prescription from my doctor and they all cause the flushing. The once a week pill caused it for 5-6 days. It makes my face so red I'm often purple and I can't/won't leave my house for anything while it's happening. It feels like a sunburn from the inside out. It's hot and prickly and burn-y feeling and it hurts. It isn't constant for me, it lasts between 3 and 10 hours a day. Holding an ice bag on my face helps with the discomfort, and sometimes seems to help with the flushing. I know I'm vitamin D deficient and I need to get that up, but I don't have any idea if I can stand this long enough for that to happen. The niacin is MOST likely the culprit for your facial flushing and rosacea, but you'll never know until you stop one or the other and then retake them and see if it starts up again. It should be EXTREMELY easy to figure out which one is causing your problem if you only started two new supplements. I have several autoimmune diseases, have developed a sensitivity to gluten, and take vitamin D supplements for a proven deficiency, so I have a long list of what might be causing the latest flush or rash. Most vitamin D supplements are made from lanolin (sheep wool oil) so the flushing could possibly be a reaction to an impurity in the supplement, like unconverted lanolin, something else from the wool, or even components of a capsule shell or fillers in a tablet. I too have had flushing on face as well as hands and feet with artificial D3 supplements in varying dosages. So I was not surprised to learn that artificial D3 is derived from lanolin since I also have burning and swelling when use I skin products containing lanolin. Switched to fish liver oil sourced D3 and no flushing! Happy to hear that. However, just as a point of accuracy, supplements from lanolin are 'natural'. They are made from sheep's wool. The D2 supplements that you get from the pharmacy are synthetic, but not D3 from lanolin. Glad you figured out the problem though. Seems that quite a lot of people are sensitive to lanolin. I have finally gotten my level up to a good level but alas I have feelings of heart palpitations and facial flushing. Now I have to decrease it so that this leaves. Not nice either way. Just glad to hear more people are having the same problems and its not something else. Ok now I am convinced of it. I had angular chilitis and had read it could be from vit D deficiency so I got tested. Levels are supposed to be from 30-80 mine was a 6. Started taking 50k unit megadoses for 4 wks and less than a wk in I was CONSTANTLY flush and rapidly developed rosacea symptoms. I had a strong suspicion of it because of the timing and how sudden and intense it came on. It also made perfect sense considering vit D is from the sun and the sun seemed to exasperate my flushing. There was also a pretty conclusive study done that shows an EXTREMELY high correlation between rosacea patients and increased serene protease and cathelicidin. AND guess what causes and increase in those 2???? VIT D supplements!! Ive done my research and although I cant say for sure this is causing your symptoms. I can say for sure that there is a HIGH possibility it triggered mine. GOOD LUCK! I just started a prescriptive dose of V-D and my face is burning up red and on fire, very uncomfortable. I only have to take it twice a week, but I'm afraid to take the next dose. I also got severe upper left-sided abdominal pain that radiated around to my back. I thought I was having a heart attach? Anyone with similar? Just started vit d3 1000 a day & have flushing; I am allergic to lanolin. Where can I get vit d3 without lanolin? I have also been experiencing the red face from D3 or the sun. I started taking D3 because I tested deficient in D3 and had developed a sudden sun / sweat allergy. After doing much research I see that you need to take D3 with K2 and magnesium to help it process correctly. Just started this, but every time I get the flush face I take an Epson salt bath for immediate magnesium and feel so wonderful the red face goes away. Still trying to work this out to see what the right balance is. I will check into lanolin as well. I started taking a vitamin D with C supplment because I live in a Northern area that is rainy in the winter and needed the extra D The D with Vitamin C combination was a chewable product and it worked really well with no face flushing. BUT, I recently had to buy more and wasn't able to find the chewables so bought a bottle of the tablets made by the same vitamin company. I have not changed the daily amount I take, just the type of pill and now I get the reddest face! I'm going to have to re-consider these tablets May-be I'll try taking less more often and see if that helps, but this is bizarre! Make sure you get a good quality of vitamins. Its been on the news and is a serious issue that many vitamins are poorly made and contaminated with who knows what. most of the time these vitamins come from china. FDA has been investigating but the agency is severely under staff. i seem to have the best response to fish oil. i would also suggest getting your liver check plus a ultrasound even if you have good blood work report.there are no test that a mfg has to adhere to to sell any vitimins other than to send in a document stating what they are selling, but the product does not have to be tested to prove what it is. contact your Gov Rep and tell them you are tired of all the crap coming into the US. Dr. just put me on 2000 IU vitamin D3 3x/day (total 6000 IU) because I had a very low reading, along with extreme fatigue. About a week into it now and face bright red. Also began taking Bethanacol around the same time for gastroparesis, but took just one tablet of it and blacked out. Dr. and pharmacy both said that was not a reaction to that medicine. Now beginning to wonder if vitamin D3 can cause that as well?!?! A quick internet search would show you that Bethanocol can cause both facial flushing and dizziness and fainting. ...dizziness; fainting; fall in blood pressure; flushing causing a feeling of warmth; headache; lightheadedness;sensation of heat around the face"
"Bethanechol may cause dizziness or fainting... and flushing or warmth about the face"
"Common side effects of bethanechol chloride include dizziness, drowsiness, lightheadedness, headache, nausea, vomiting, abdominal cramps/pain, diarrhea, increased saliva/urination, sweating, flushing or warmth about the face"
Sounds like Bethanocol is the culprit here. I have been in the Health food industry for over 25 years and face flushing is a common complaint.I do not know why there is not a lot of research or info as to the why.Also when patients who are vitamin d deficient mention this to their physicians they are told they never have heard of this and it must be something else. I personally am vita min D deficient and this happen to me as well always a week after taken. My doctor does not acknowledge this reaction and thinks it is all in my head . Even with my background. So you are not crazy when you say this is happening to you.Just wish someone would research as to why this happens.And I have tried all forms of D.
Hello, this is an odd one & is really frustrating me, please help! I took 5 diff dietary supplements (solgar brand, which has the same listed ingredients as the ones I have always taken before, just the brand is new to me) the other week which caused my skin to flush bright red on my head, neck, arms, hands, bum, knees & feet. This also caused swelling on my ears & itching all over. I took advice of medical professionals to take antihistamines, which I did & these symptoms subsided after about 40 mins. This past week I have felt awful, tired, fuzzy, constipated, bloated. Yesterday I took a tint corner off of another supplement (not previously taken, same solgar brand) this caused my face to flush immediately - calcium magnesium supplement not niacin. Today I have fuzzy head, headache & my knees/joints really sore. I have never had an allergic reaction to any supplement before & the ingredients listed are the same as what I've taken in the past. Is this truly an allergic reaction or is my body just deficient or flushing out toxins? There is so much conflicting information on the web, so i am so confused. I follow a strict Vegan diet & have always felt healthy & full of energy until now. Please shed some light on this as I don't want to become ill.
Saying you are taking 'something' with the 'exact same ingredients' does not give me any info sufficient to help you when you did not tell me what they are the 'exact same' as. My guess is that the Solgar brand 'something' has niacin in it and that was the cause of your problems, as you sound like a textbook example of niacin flush. You may be looking at the ingredients and your previous one had 'niacinamide' and this one has 'niacin' and you are saying they are the same thing, but niacin causes flushing, while niacinamide does not. That is the likely cause of your problems. Allergic reactions that severe usually do not go away in 40 minutes, a niacin flush does. By the time you called your doctor, found some benadryl and took it, and the symptoms abated, it was probably not even enough time after you took the benadryl for it to work. Read up on niacin flush reactions. That is almost certainly your problem. It's completely harmless if that is what it was. However, without knowing what was in it and your particular circumstances, if it was an allergic reaction that severe, the next time it could be deadly. been taking Vit D 3 100,000 IU most days for about a month. Also been taking Jarrow Bone-Up for about 6 months. Dr checked Vit D level a couple wks ago and it was 59 ng/mL. Have always had chronically low Vit D <20 ng/ML. I assumed all was well when getting the new level of 59. Been trying for 6 months to reverse about 10! autoimmune conditions. Feeling good but not perfect. So added trace minerals and a Bcomplex , and colostrum to hopefully clear my back acne that developed last year with Methotrexate. Almost immediately after beginning B, Minerals, and colostrum I flushed and itched severely, like hives. Assumed it was a niacin flush so stopped the B's. Four days later, im still itching like crazy, stopped almost all supplements except my krill oil and colostrum. Thinking its Vit D excess...been drinking several liters of H20 daily. pee smelled very weird for a couple days...How can I lower my Vit D levels quickly? I'm 99% sure this is the problem. I took my first dose of 50,000 IU of Vit D2, and a few days later my face became so red it looked like I had an extreme sunburn that moved down my chest. I definitely do not take ant niacin because I have a strong reaction to that which is identical. None of the web sites, or the paperwork that came with the but d2 say anything about it, but I have read enough personal testimonials to make me think this is not a coincidence. I won't even come out of my room because I don't want my roommates to see. I'm going to stop taking this medication. I too get flushing, severe tachycardia along with joint pain from Vit D, Omega 3, Eating Salmon, and Coconut oil(MCT oils). I have had this issue for years but just recently linked it to these supplements/foods. I tested my findings many times after doubting myself because the cardiologist, Rheumatologist and my primary care insisted it had nothing to do with these foods/supplements. More recently had cardiologist give me an event monitor for my heart to catch these episodes since they only occur when I put them in my system. He sent me home with the heart monitor and told me to do whatever makes my heart go in this arrhythmia/tachycardia. I put coconut oil in my coffee in the morning and had some coconut oil later in my protein shake. The next day my heart was up to 246bpm. So glad to see others have same issue because this issue baffles all medical professionals I have encountered with this problem. After trying to take oral vitamin D3 supplements in all forms including gel caps, pure capsules with no fillers, tablets, liquid drops and even cod liver oil; it all resulted in the same side effects of headaches, itchiness, skin outbreaks and facial flushing, dry coated mouth and taste, constipation, nasal congestion and palpitations. Finally, I determined to eat foods with vitamin D3 and use topical Vitamin D3 with K. I have been able to raise my levels to the 30's. This has been a long trial and error process but I believe I must have a lanolin sensitivity.